Soldier Mountain, southwest of Sun Valley, is a fantastic place to enjoy the fun of winter sports including skiing and snowboarding. A vertical rise of 1,425 ft., 15 groomed runs, glades and bowls---there is something everyone! Terrain park, back country ski cat tours, & rentals. Soldier Mountain has two chairlifts and a handle tow for the beginner slope. Soldier Mountain has 1150 acres of skiable acres including a terrain park. The Mountain is open from 9:00 a.m. to 4:00 p.m. every Thursday through Sunday during the ski season. Soldier Mountain first opened its ski slopes in 1948. Beginning with only a rope tow to help skiers ascend the mountain, Soldier Mountain now has two chairlifts and a handle tow for the beginner slope. The Mountain has fifteen regularly groomed runs and diverse terrain including bowls, glades and tree skiing. The 1150 acres of snow includes excellent powder. One of the most popular features of Soldier Mountain is the terrain park. Considered to be one of the finest terrain parks in Idaho, you can gain entrance from the top of Chair 2, next to the Air Ride run. 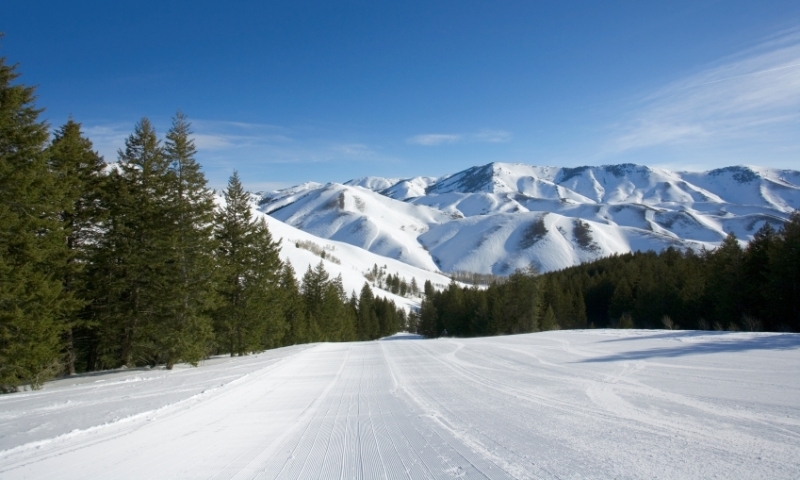 Located just seventy miles north of Twin Falls, Idaho and only fifty miles southwest of downtown Hailey, Idaho, Soldier Mountain is a fantastic place to enjoy the fun of winter sports including skiing and snowboarding. With over 1150 acres of variable terrain, Soldier Mountain has something for everyone. There is currently no public transportation to or from Soldier Mountain. Soldier Mountain opens in December and usually stays open until late March – snow levels and weather permitting. Soldier Mountain is open from 9:00 a.m. to 4:00 p.m. every Thursday through Sunday during the ski season and has extended operation hours during the Christmas Holiday. Child (Under 7) - FREE! After you have worked up an appetite or if you are just in need of a break from the slopes, check out the full service cafeteria-style restaurant that serves beer and wine in the upstairs lounge. With a complete inventory of rental gear, Soldier Mountain can meet your equipment needs. There is also a repair shop on site with certified personnel to handle your repair needs. If you would like to take a lesson or two check out the full service winter sports school.